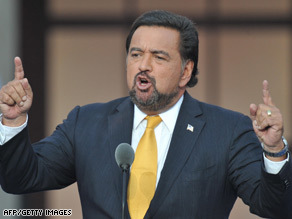 Bill Richardson is expected to be named as the Secretary of Commerce, two Democrats tell CNN. (CNN) - Two Democrats close to the transition tell CNN that New Mexico Gov. Bill Richardson is now expected to be nominated as Secretary of Commerce by President-elect Barack Obama, pending the final vetting process. The precise timing on the announcement of Richardson’s appointment is unclear. Two Richardson advisers said privately that Richardson had been hoping State would be his prize after facing political heat for picking Obama over Clinton, but the governor is willing to accept another post in hopes that he will move up in the Cabinet later in the administration. Richardson served as Energy Secretary and U.S. Ambassador to the United Nations in the Clinton administration. Obama’s pick will now mean that at least three former rivals from the Democratic presidential primaries will be in senior posts in the Obama administration - Richardson, Clinton and Vice President-elect Joe Biden. 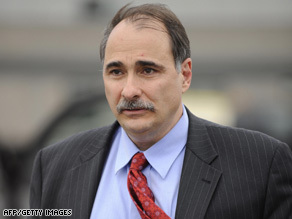 Senior adviser David Axelrod says it will take the 'best people we can find' to carry out Obama's economic plan. (CNN) - President-elect Barack Obama's top adviser insisted Sunday that Obama's economic plan would be big enough to handle the country's financial challenges, but he declined to speculate about how large the plan would need to be. During the presidential campaign, Obama proposed a $175 billion stimulus package over a two-year period, but some of his economic advisers have said recently that the package would need to be much larger. Asked if Obama would scale up the package, given the economic conditions, Obama's incoming senior adviser, David Axelrod, said he thinks Obama is "going to do what's necessary." "I'm not going to throw a figure out here. What he said is, he wants a plan big enough to deal with the large challenges we face. And I think there's a growing consensus across the spectrum among economists that we're going to have to do something big," Axelrod said Sunday on ABC's "This Week." Obama on Saturday offered an outline of his economic recovery plan to create 2.5 million jobs by 2011, saying American workers will rebuild the nation's roads and bridges, modernize its schools and create more sources of alternative energy. Obama noted he will need support from both Democrats and Republicans to pass such a plan, and said he welcomes suggestions from both sides of the aisle. 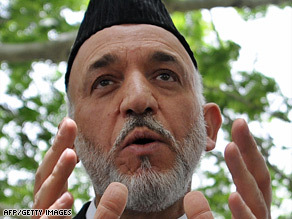 Afghan President Hamid Karzai says Barack Obama has promised Afghanistan more aid. KABUL, Afghanistan (CNN) - President-elect Barack Obama has assured Afghan President Hamid Karzai the U.S. will send more aid and pay more attention to his war-torn country, according to Karzai's office. 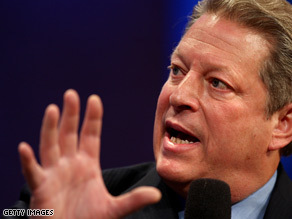 Al Gore will hit the campaign trail for Jim Martin on Sunday. (CNN) - Add Al Gore to the list of big name surrogates who are making campaign cameos in the last remaining Senate election this year. The former vice president teams up with Jim Martin at a campaign event in Atlanta, Georgia. Martin is a former Georgia state lawmaker who is the Democratic challenger to Saxby Chambliss, Georgia's freshman Republican senator who's fighting to keep his seat. The two candidates face off in a runoff election Tuesday, December 2. Chambliss won a plurality of the vote on Election Day, but Georgia state law calls for the winner to grab 50 percent plus one vote. Due to the inclusion of a third party candidate, Chambliss fell just shy of that threshold, forcing a runoff contest. Gore's campaign appearance follows that of former President Bill Clinton, who teamed up with Martin on Wednesday in Atlanta. President-elect Barack Obama is lending his voice to the Democrats' efforts to win back the Republican-held senate seat in Georgia. Obama speaks out in a 60-second radio ad for Martin that hit the airwaves Friday. A trio of former Republican presidential candidates have campaigned Sen. John McCain returned to the trail to campaign with Chambliss, just 9 days after losing the presidential election to Obama. Last week, former Arkansas Gov. Mike Huckabee, who ran for the Republican presidential nomination before dropping out in March and backing McCain, campaigned with Chambliss.